Rolands new FA series completely reimagines the music workstation, streamlining it for effortless real-time power, ultra-fast workflow, and maximum versatility. Ready to support any type of music you play, the FA-06 is packed with a massive sound collection inherited from the flagship INTEGRA-7, a ton of studio-quality effects, and expressive real-time controls, plus onboard sampling with zero load time for instant audio playback from the 16 backlit pads. The sequencer features simple operation and non-stop loop recording, letting you capture songs and ideas as they come and export them as multitrack data to use with your DAW. Flowing seamlessly into every part of your creative world, the FA-06 morphs instantly from a standalone keyboard to become the command center of your computer music studio, with USB audio/MIDI interfacing, powerful real-time controllers, DAW transport controls, and much more. • GM2 compatible sounds are included. • The wave expansion slots are rewritable internal waveform memory. You can download data from the Axial sound library site and write it via a USB flash drive into the FA's internal wave memory (slot). • Sampler trigger data can be recorded. • Samples cannot be used as wave data for the sound engine. I was not a Roland guy. Pretty much old school till my back began playing up. 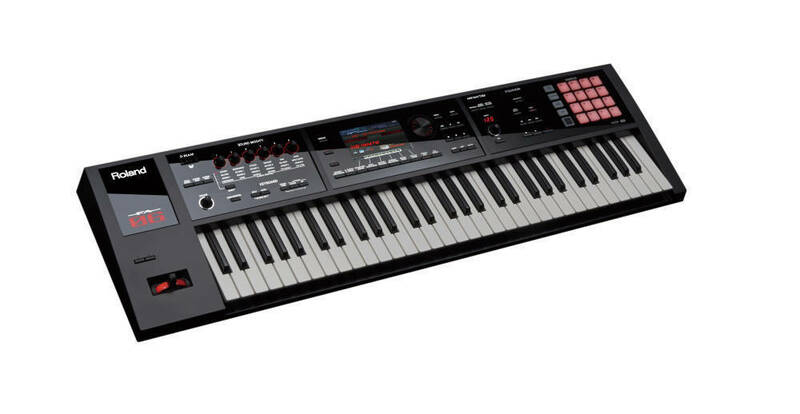 Upon a suggestion I was recommended this keyboard to try for a month, and if I didn't like it return it and it would cost me a months rental. I thought what the heck lets give it a try. I have it for a year now and would not part with it. I would just condense this by saying it's my best buddy on stage. The description and features tells us a lot. But what we use during gigs is what counts. We need sounds on the fly. I setup my sounds by sets and vola. The Youtube video instructions are easy to follow and work in the real world. The light weight make it my go to keyboard without compromising sound quality. Wish I could get back my investment for what I paid for my K R O N O S. Roland made this keeping gigging musicians in mind. Despite downloadable sound patches, ease of operation is what counts on stage. I don't have to carry 2 and 3 keyboards anymore. I use se this keyboard professionally in a band. Great tones, easy to use and setup. I also have 2 other Roland keyboards and 2 Korg keyboards too. This one is by far the best sounding and ease of use.